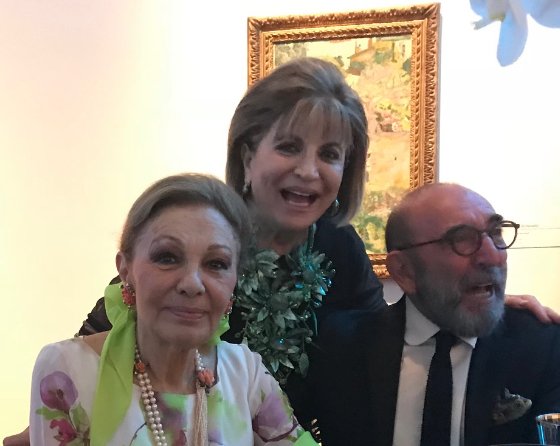 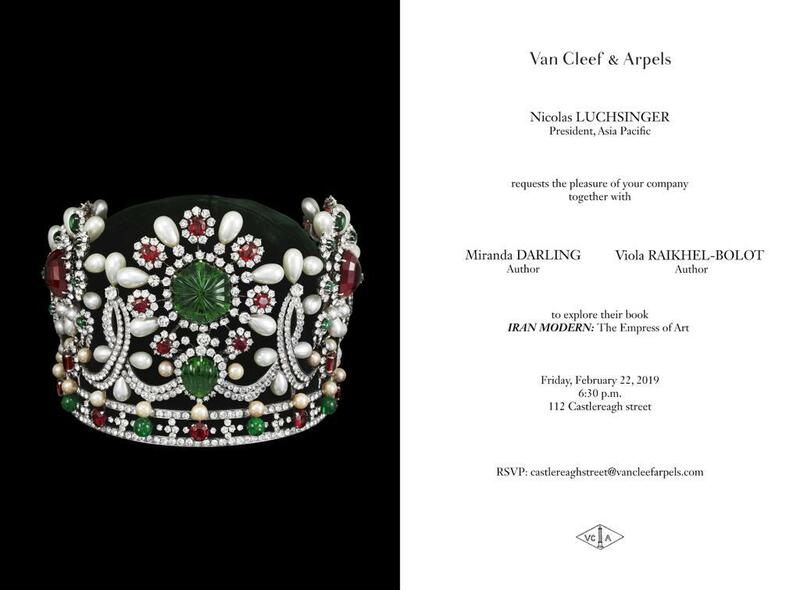 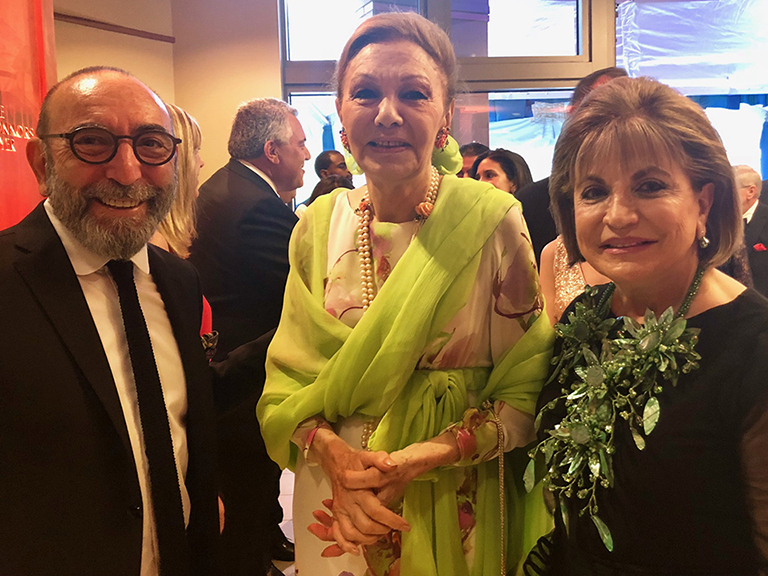 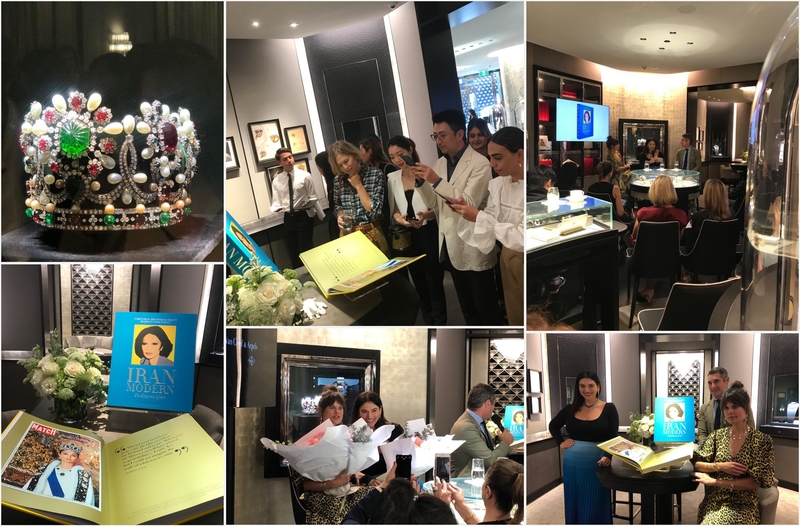 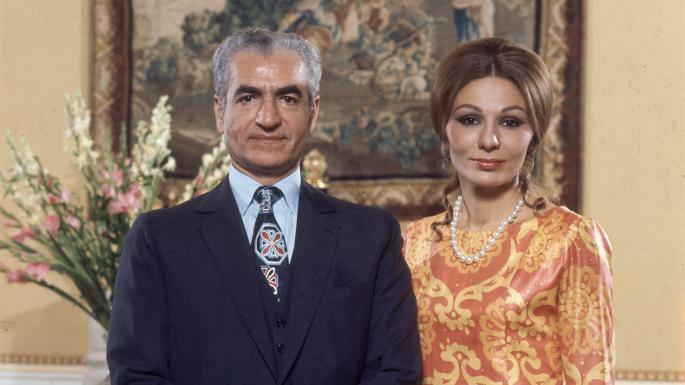 Her Majesty Farah Pahlavi at the Phillips Collection Annual Gala, Washington, with Mr. Dani Levinas, Chairman of the Board of Trustees for The Phillips Collection, and Mrs. Annie Totah. 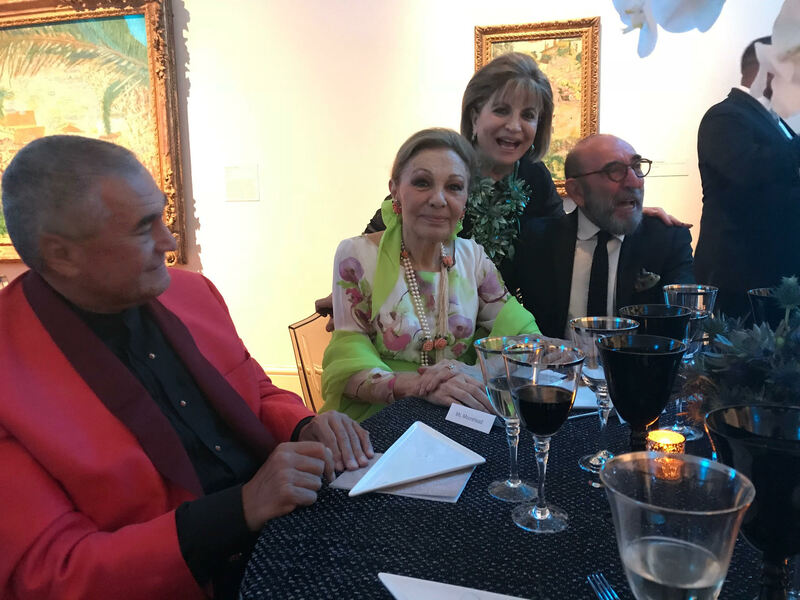 of the Phillips Collection Mr. Dani Levinas, 2018 Phillips Collection Gala. 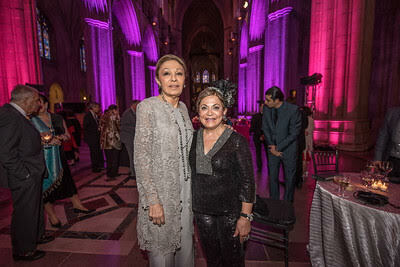 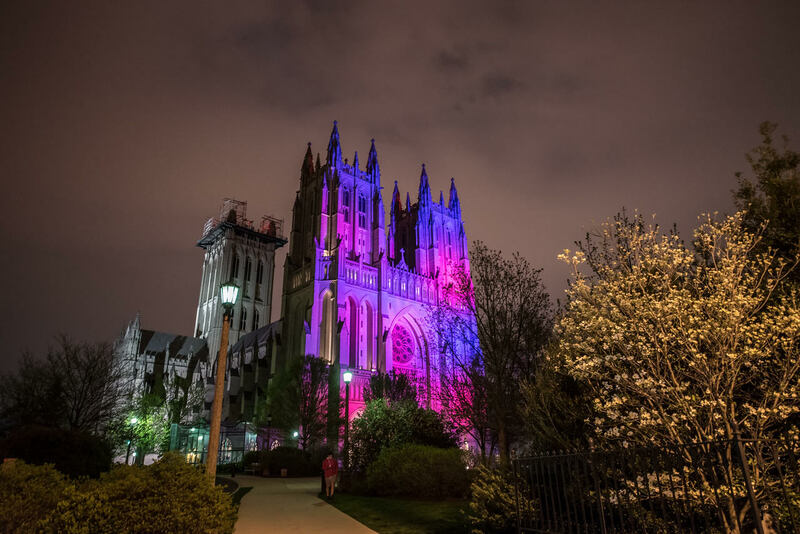 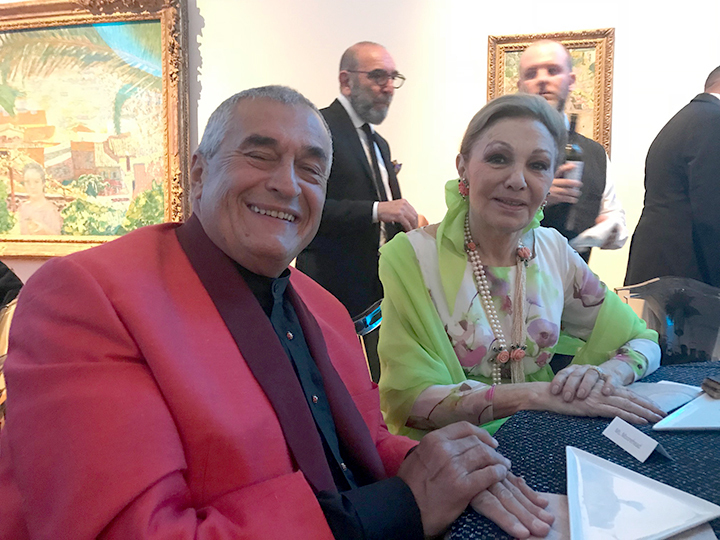 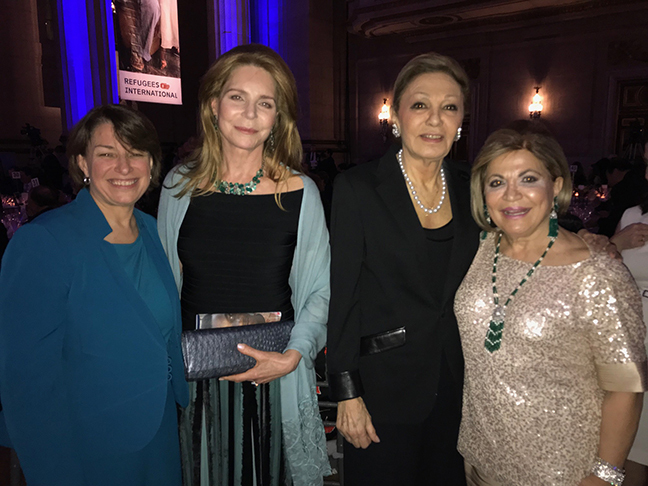 On Saturday, April 28, 2018, Her Majesty Farah Pahlavi attended the Gala concert and dinner celebrating PostClassical Ensemble’s first year as Ensemble-in-Residence at the Washington National Cathedral. 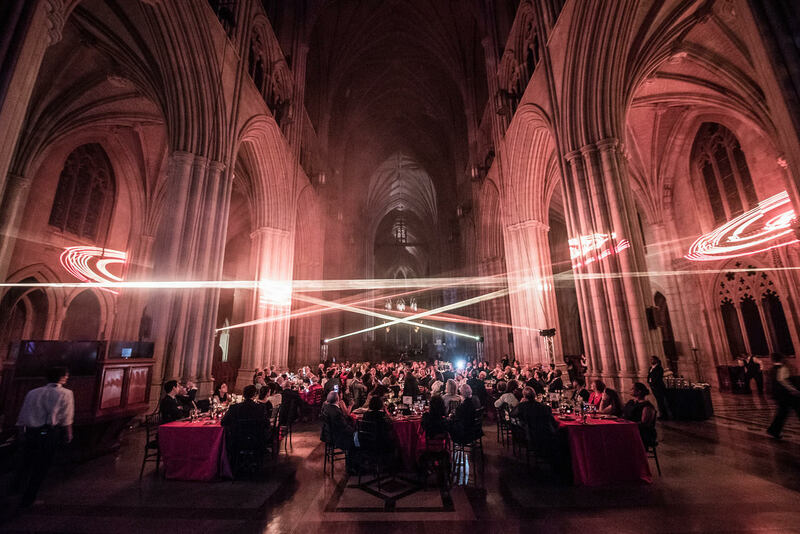 For the event, the cathedral’s huge nave was turned into a banquet room alongside a concert hall. 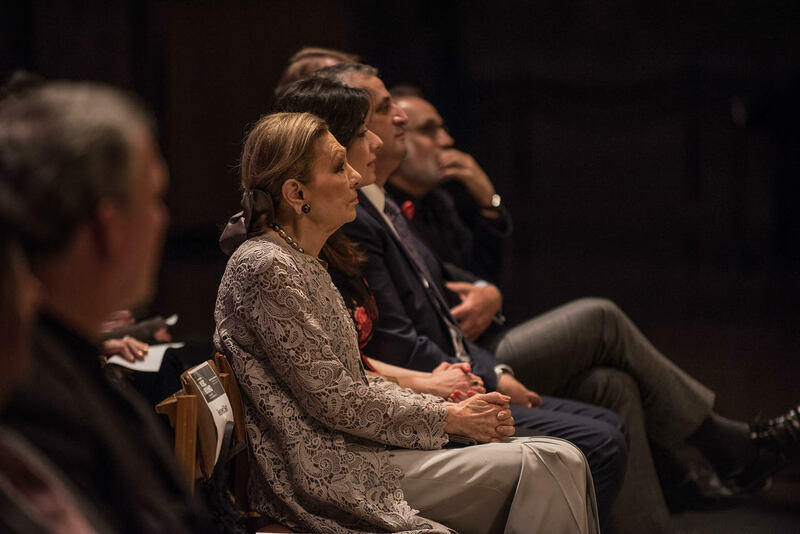 The featured soloist was pipa virtuoso Min Xiao-Fen.